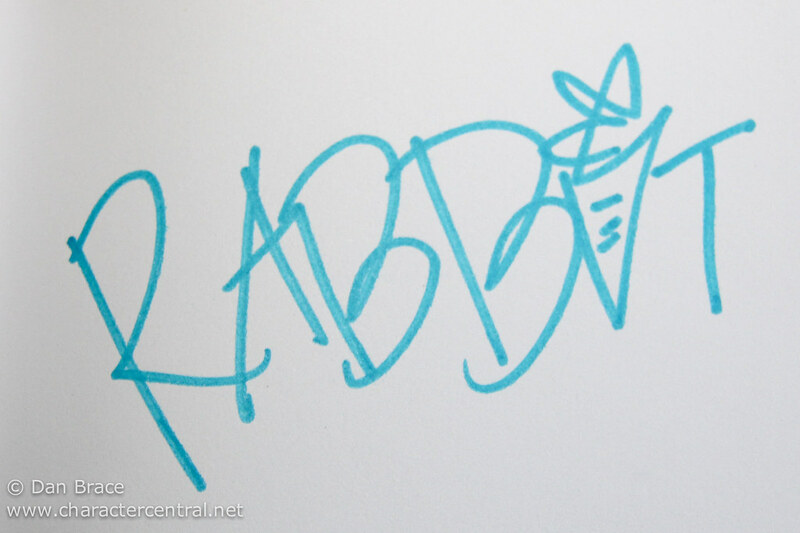 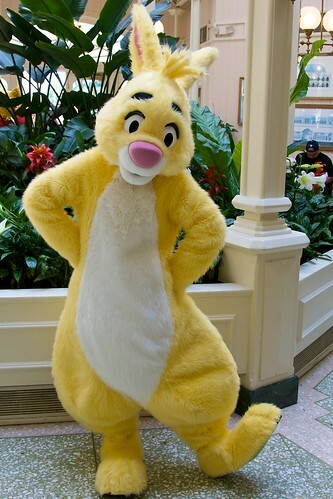 Rabbit is the nervous bunny from the 100 Acre Wood. 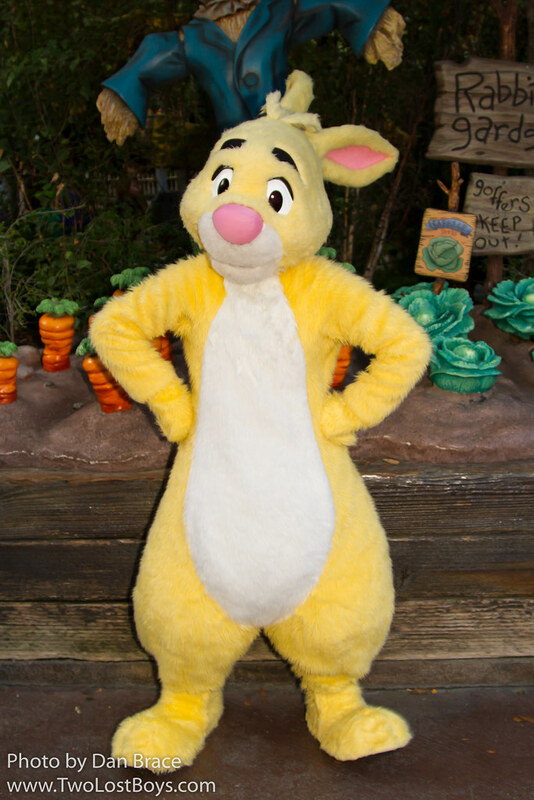 His pride and joy is his garden - especially his carrots - and hates anyone disturbing his work or coming between him and his garden. Despite his somewhat abrupt nature, Rabbit is a loyal friend to the other animals of the wood, and is always there to help them when needed. 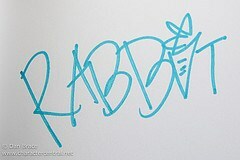 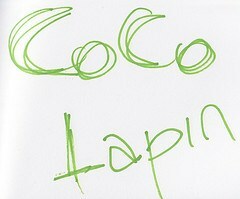 Rabbit is quite hard to find normally. 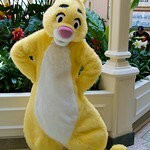 In Disneyland CA he is occasionally in Critter Country, though not often. 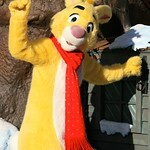 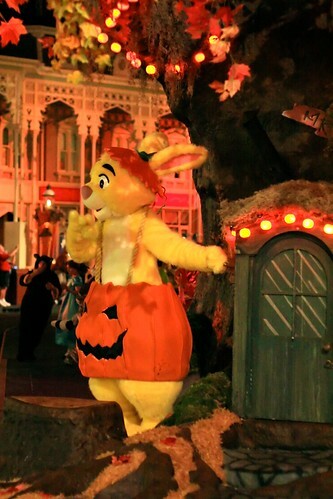 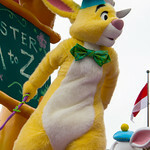 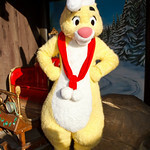 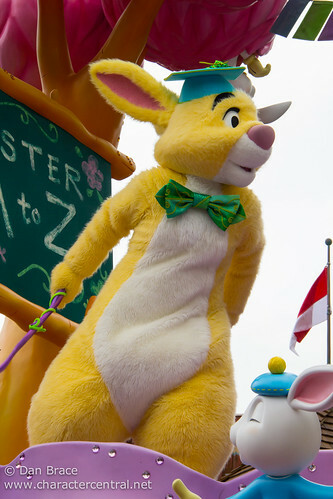 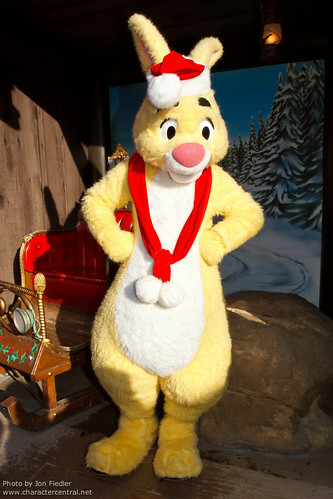 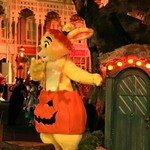 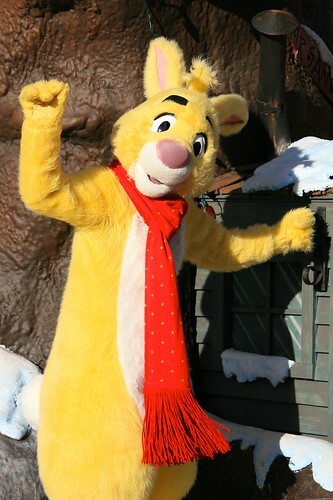 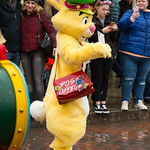 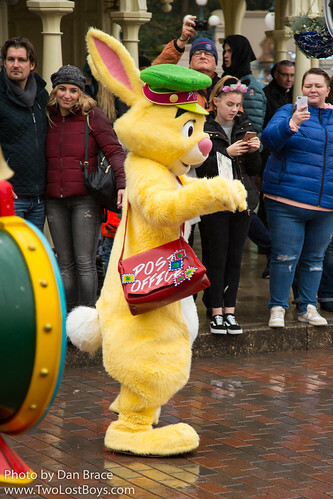 Your best chances of finding Rabbit are in Disneyland Paris, where he can show up in Fantasyland from time to time, or at the Studio in Production Courtyard.